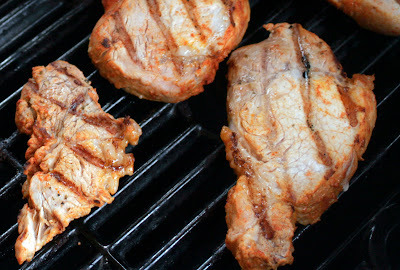 Smokey paprika and mojito marinade produce the very best grilled pork chops. This combination of Spanish flavors is my favorite for grilling meats. Pork loin chops, when grilled properly, are moist and tender. The lime, garlic, and smoked paprika create a spicy yet light and refreshing Spanish flavor. Served alongside a fresh garden salad, the perfect summer meal materializes. Combine the smoked paprika, garlic, and sea salt in a small bowl. Drizzle the limejuice over the pork loin and rub both sides. 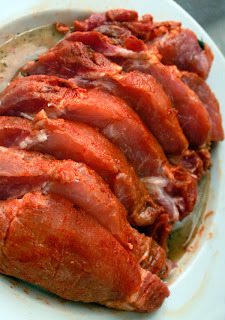 Sprinkle half the spice mix on pork loin and rub, covering the loin completely. Turn the pork loin and repeat the rub process. Slice the pork loin into chops, about 1" thick. Slowly pour mojito marinade over the pork, making sure it seeps between the slices. Cover with plastic wrap, refrigerate for at least an hour. Remove the pork loin from the fridge about 20 minutes before grilling. Oil your grates and heat your grill on high, to at least 450. Pork loin chops cook quickly on the grill, which means no walking away. Unless of course you like eating dry, leathery pork chops. After the grill is hot, lower the heat to medium. This is the BBQ setting on my grill. Cook on indirect heat, which means placing and cooking the chops on a grate with no flame below it, for about 5 minutes each side. Brush the chops lightly with a bit of the left over marinade just before turning. Remove and allow resting for a few minutes before serving. 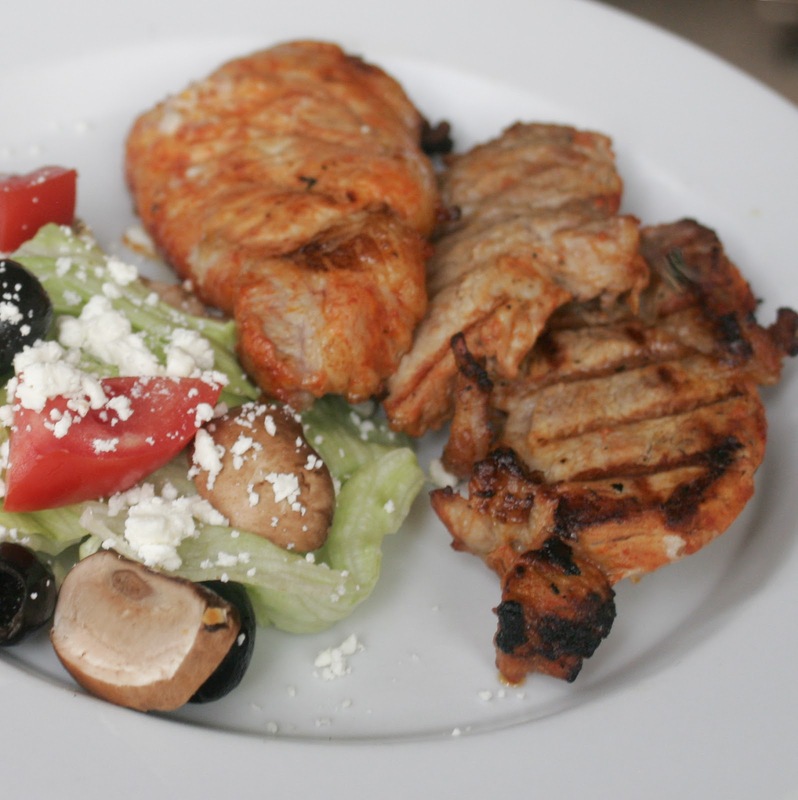 Hubby repeatedly commented and complimented the tender, juicy flavor of the chops. Rubbing the lime juice on the pork loin provided an extreme contrast for the intensity of smoked paprika. By doing so, a refreshing spicy smoked flavor resulted. I do believe I have finally perfected grilling pork loin chops. What’s your favorite grilled pork recipe?